The Ride Along Cars from Porsche Driver's Selection will make his/her dreams come true. 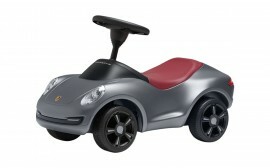 They will enjoy racing around the play area in a 911. These cars encourage toddlers to explore their surroundings. 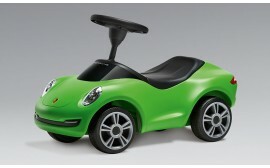 They are high-quality reproductions of the original models designed specially for children. Ergonomic seats and a speedy pedal mechanism make driving fun.